Byte Review 2019: Is Byte a Good Hosting? Byte has been providing specialist managed Magento hosting since 1999. This longstanding company provides feature-packed hosting plans with top-notch service to only the most serious e-commerce customers. Byte has been providing hosting services since 1999, and it focuses mainly on Magento websites. 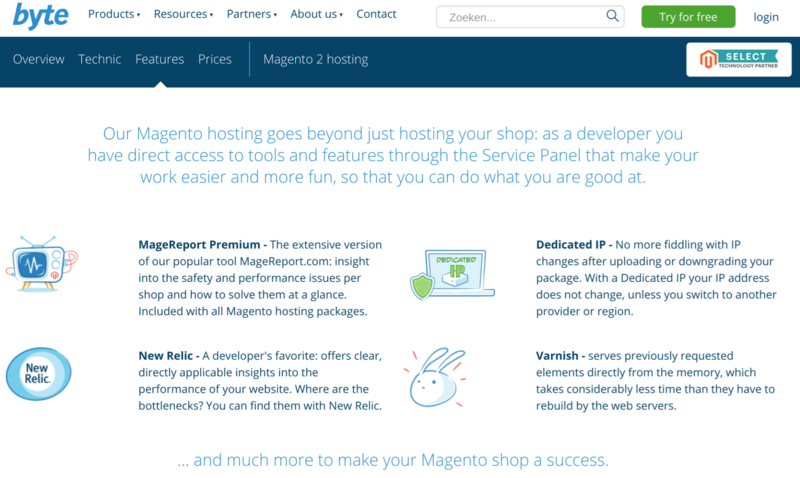 This Netherlands-based business claims that more than 65% of the local Magento agencies use its “Hypernode” platform. Although I can’t substantiate this claim, I can tell you that the company has more than a hundred positive customer testimonials on an independent review website. The Byte website is available in Dutch. 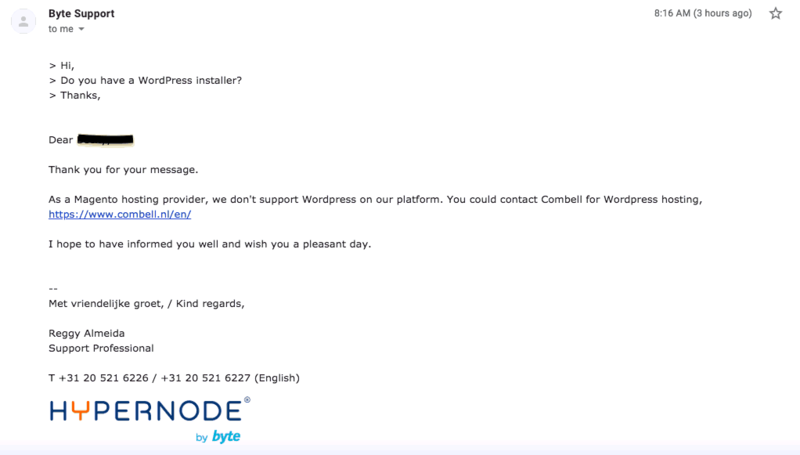 Byte focuses solely on managed Magento hosting and provides a branded ‘Hypernode’ platform. This virtual, isolated space is optimized for Magento, with all the tools a Magento developer needs along with automated tasks and management by Byte. So, let’s dig deeper into the available information to discover what else Byte has to offer. Byte offers many of the usual features you’d expect from a premium hosting provider. For example, there is support for PHP version 7, FTP, MySQL, FTP, and SSH access. Overall, the generous features are geared toward experts. There are also lots of features that are specifically designed for e-commerce stores. For example, plans come with a managed SSL certificate that Byte will apply for and then install for you. If all this is not enough, there are specific tools for Magento such as the MageReport Premium that provides insights into the performance and safety your Magento website(s), and the Service Panel that is designed specifically to manage multiple websites. As you might expect of something so specialized, the prices are high. You’re purchasing a premium hosting service that is fully managed and optimized for Magento. Byte is fundamentally for high-traffic and high-volume e-commerce stores that require speed, security, and the peace of mind that a solid host brings. Contract lengths depend on which package you are purchasing. Magento hosting with Hypernode, and Magento Dedicated Cluster plans are only available on one-month terms, whereas the Presence package can be bought on an annual basis. There are a 30-day free trial and a 14-day money-back guarantee, which is quite unusual for a managed service like this. You can contact customer support by phone or email during regular business hours on Mondays through Fridays. There is also a 24/7 emergency service which you have to pay for on top of the already-premium price. Voted the best managed hosting company in the Netherlands by Emerce 100, Byte has been providing premium Magento hosting since 1999. The premium plans use SSD drives and are backed by a 99.5% uptime SLA. But be prepared to pay a premium price (and more if you want 24/7 technical support). Wondering how Byte stacks up against other Web Hosting companies? Enter any other Web Hosting company and we will give you a side-by-side comparison.